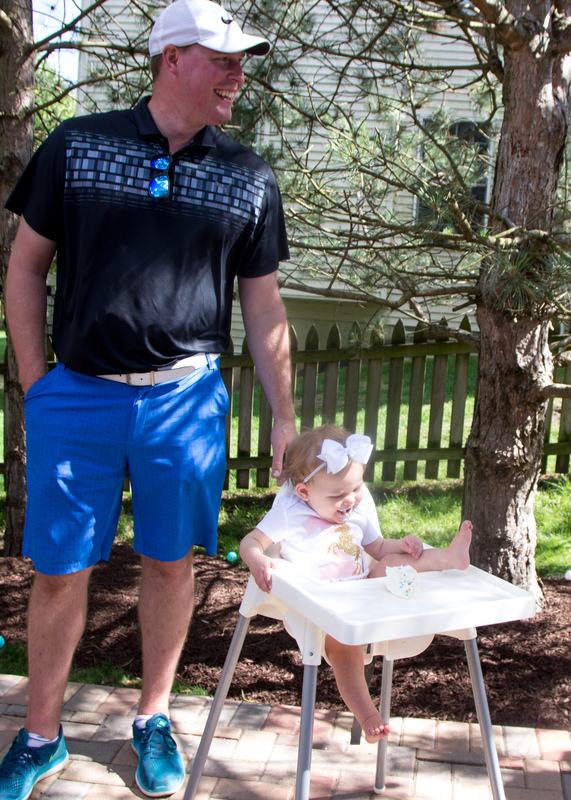 Kinzie is ONE! This year has flown by faster than any year of my life. 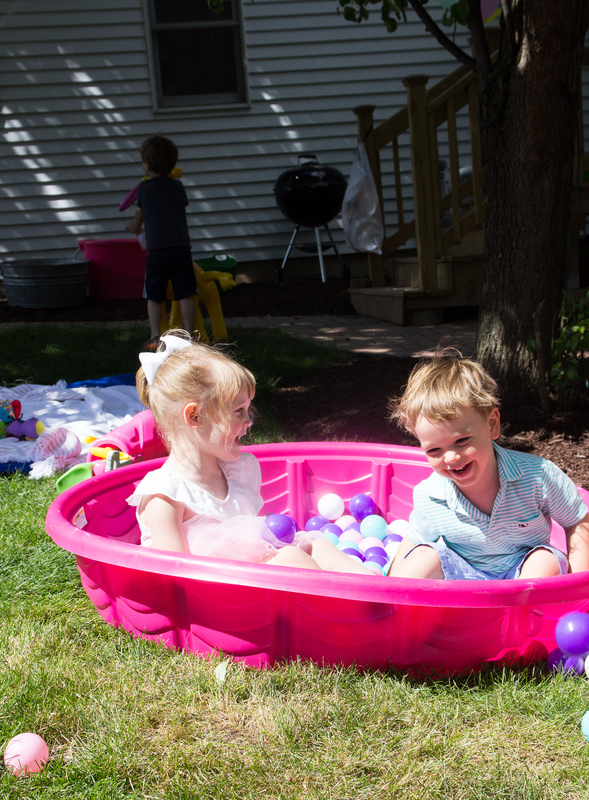 We had a little celebration with close family and friends at home last weekend. 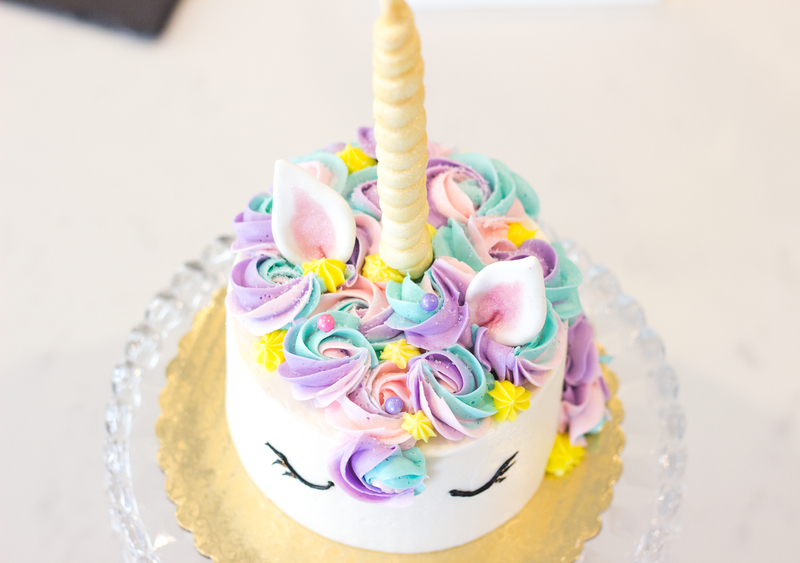 I was busy hosting and playing this year and forgot to take a lot of pictures of the actual party but here are a few snippets of the unicorn theme decor! We just moved into our new house less than a month ago so this was an especially fun day for us to have our guests over. We also moved much further west and are very thankful to everyone for making the hike out to visit! 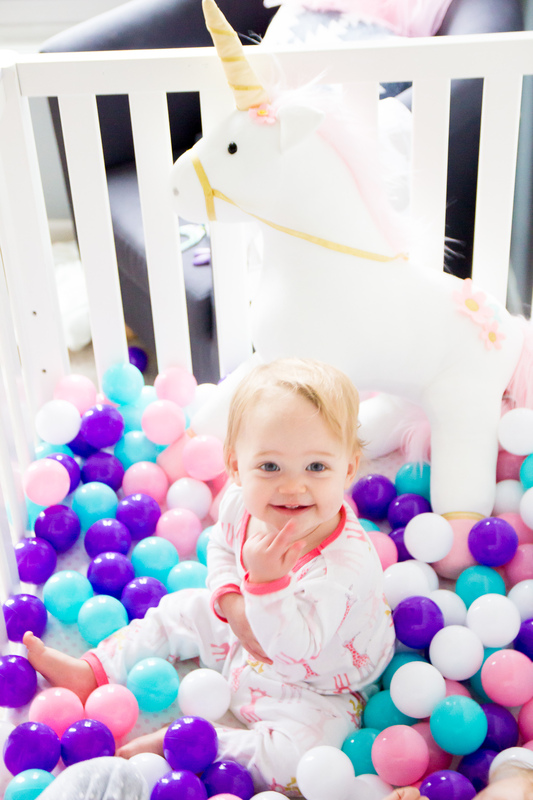 Kinzie’s birthday started with a ball party in her crib and her unicorn birthday gift! 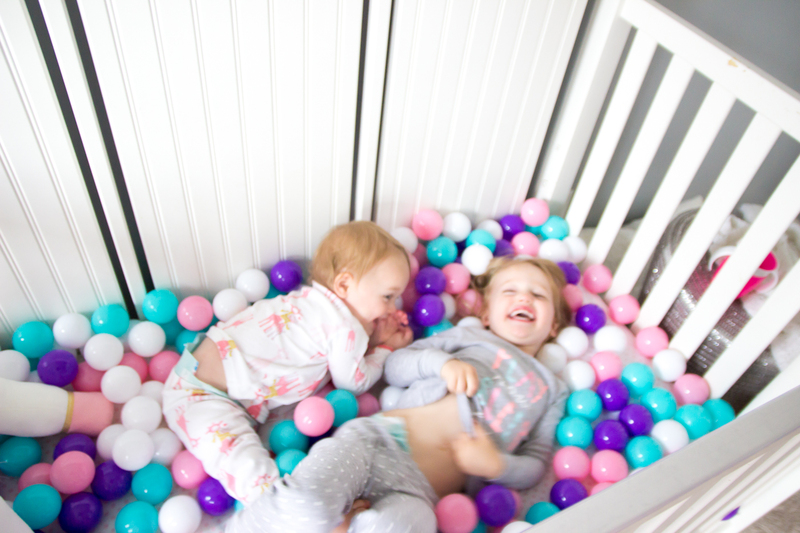 Taylor and Kinzie literally could have played all day long in there. They both LOVED it that much. 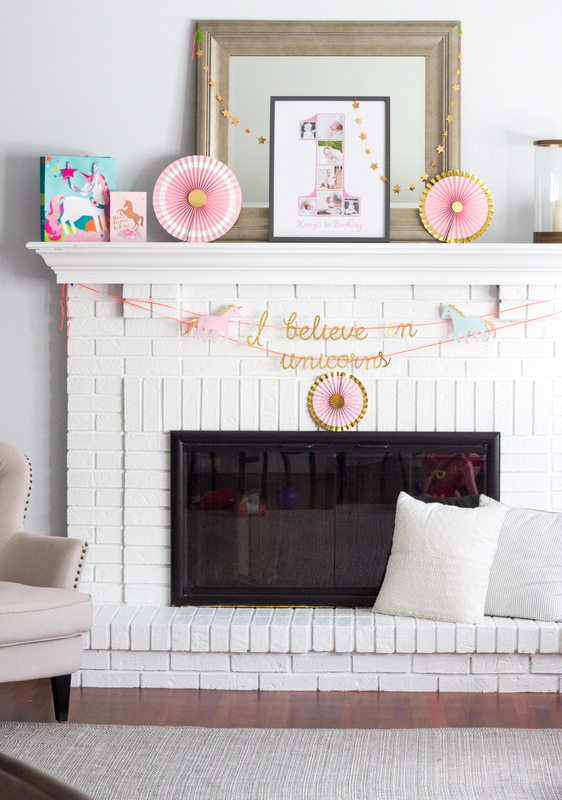 Eric and I have both been very busy with work and small house projects that we didn’t go overboard at all with the decor. The things that we focused on this time around were having activities for the kids (ages 0-4) and food too. Neither of which I really have pictures of….. 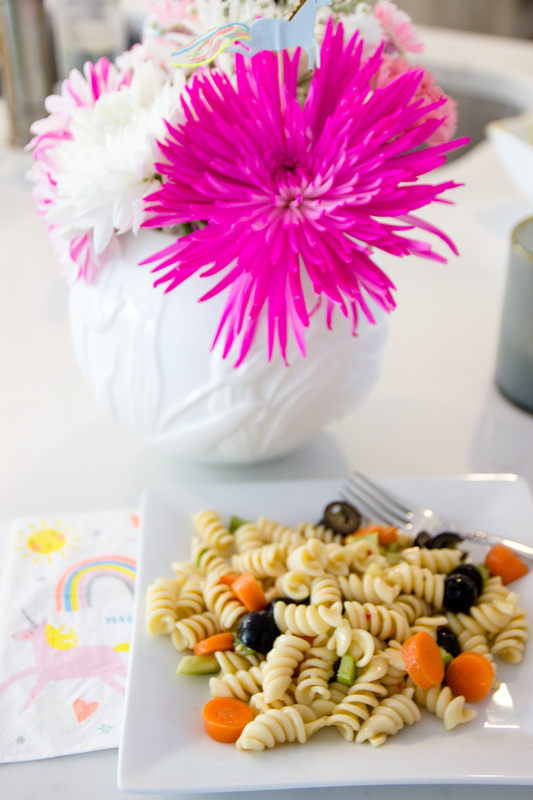 Except for my Mom’s pasta salad which is always delicious. 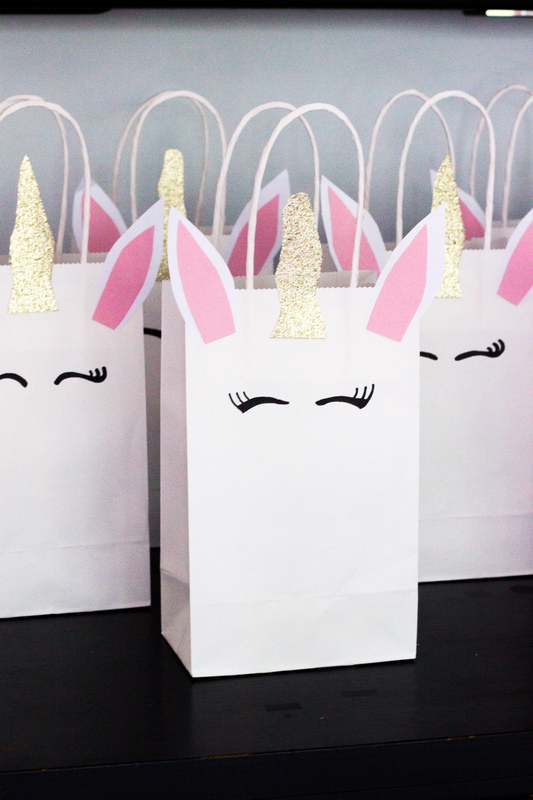 My sister and I made these party favor bags (inspired by some we saw on Pinterest). 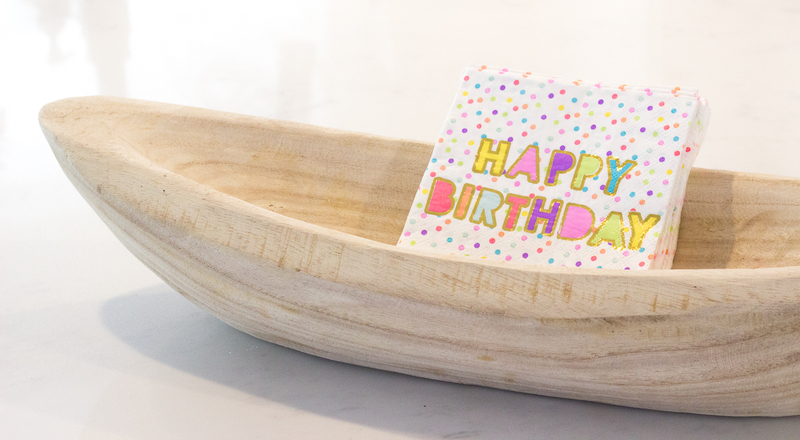 They were really easy to make and we filled them each with ring pops, bubbles and a cute bath toy. 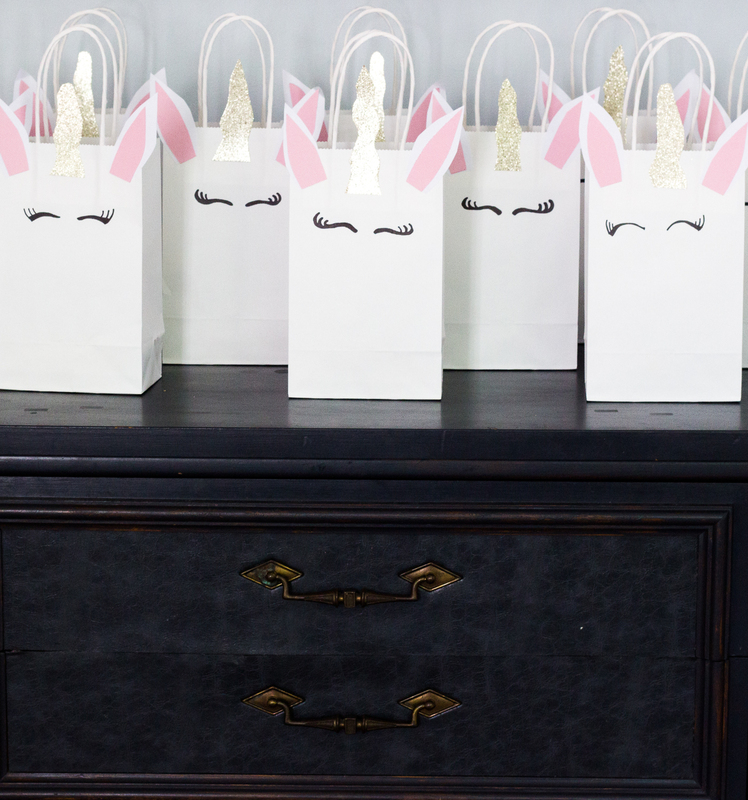 By the way, it was trickier than I thought to find cute and SAFE party favors for kids under the age of 3. So we kept them simple with things hopefully the kids will actually use! 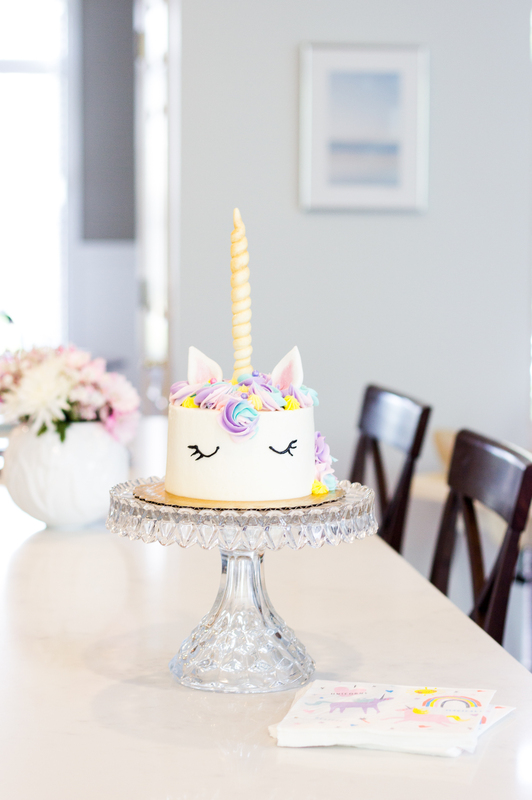 The unicorn cake became the “kids” cake which was perfect because they were just as excited about it as I was! She also made herself very cozy with one leg up – she is quite the little lady! I mean… does it get any better than this?? 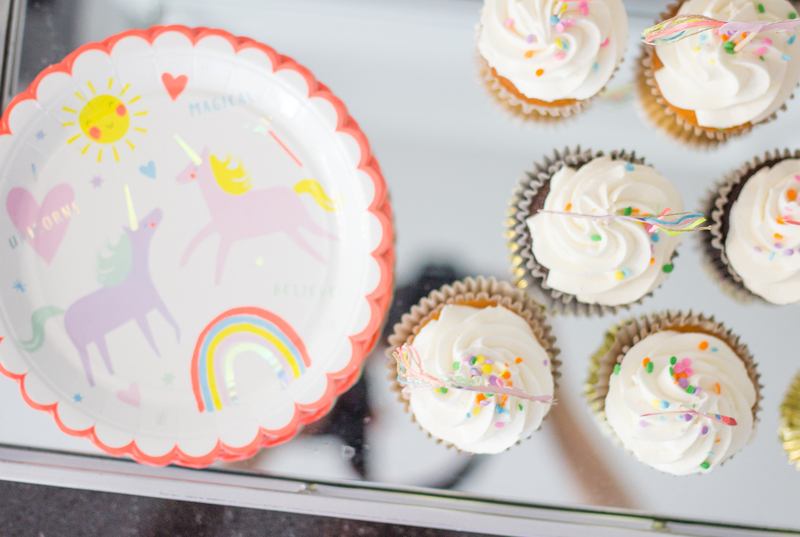 The cupcakes and cake were made from a local market, Blue Goose. 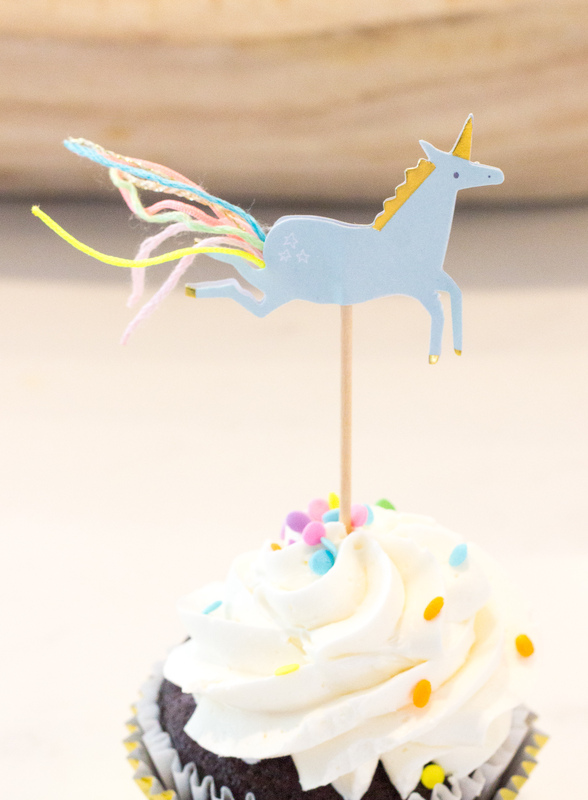 I added these unicorn toppers. 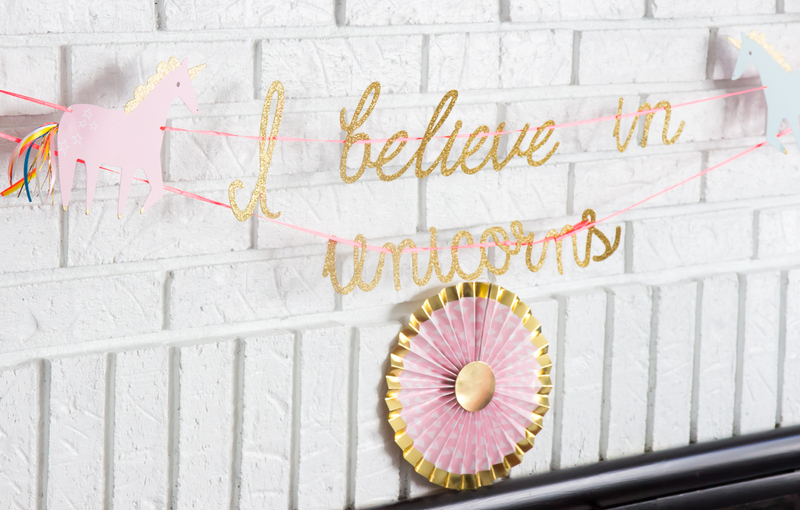 They came with rainbows, pink and blue unicorns and little “I believe in unicorn” signs too. This framed poster is from Shutterfly. They had sent me a coupon code awhile back for a free one so I took advantage. They always send free stuff if you are on their mailing list by the way! 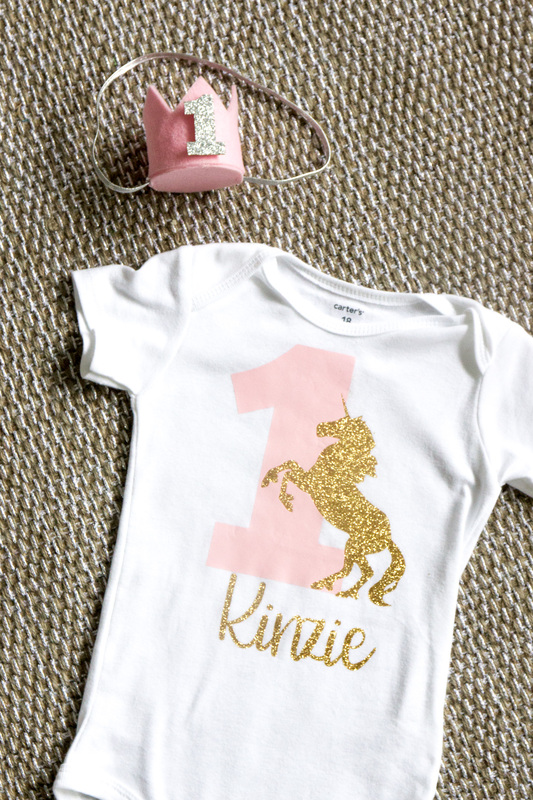 Lastly, I had to include the details of Kinzie’s outfit (which I may put back on her since it was so cute!). The onesie is from The Little Queen Bee shop on Etsy. 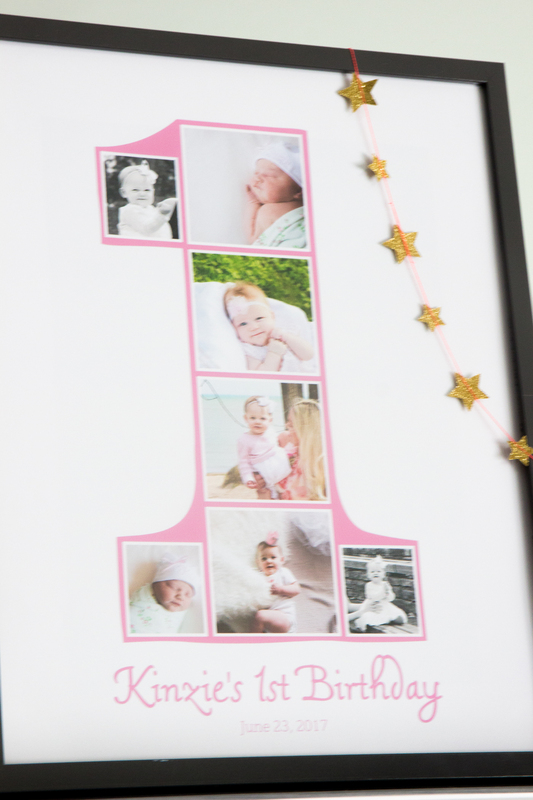 She has the most adorable personalized items too and was able to accommodate a very last minute order! The crown headband is from Mud Pie, which we used every month for her monthly pictures (the numbers are all velcro). We also had a slideshow playing of pictures of Kinzie throughout the first year of her life which we loved watching over and over again. I even included one I snapped of her still in my belly when we arrived at the hospital. It was such a great memory and unbelievable to see how much she has grown in one year!! It seems like just yesterday Taylor was turning one and it amazes me that she is going to be THREE in a few days! 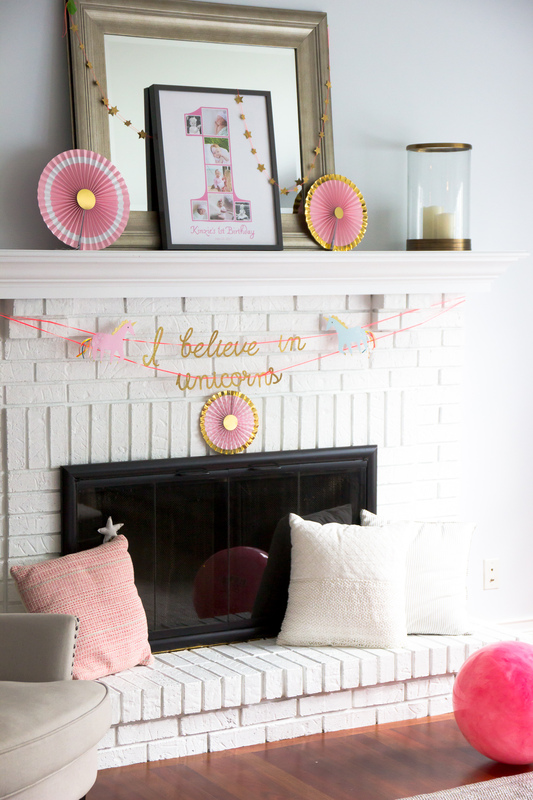 She is insisting on a Paw Patrol birthday so back to planning some more…. 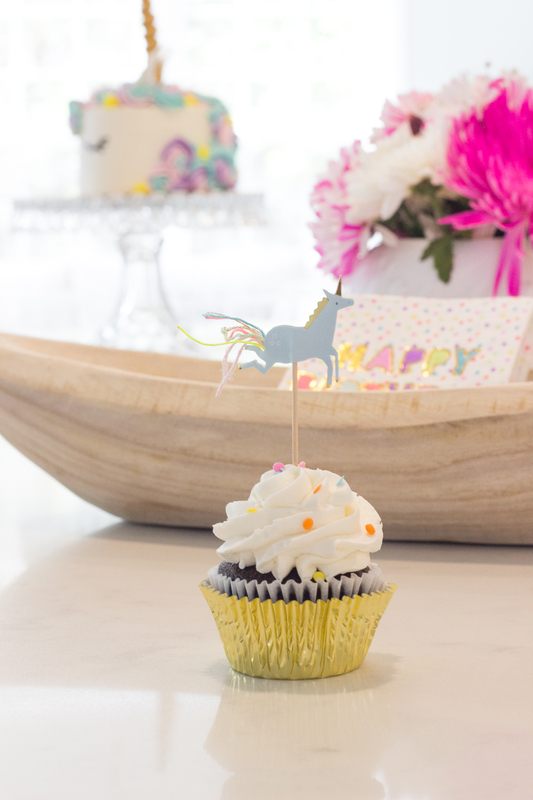 This is the cutest unicorn birthday! ???? Love all the details and that bag is so adorable! 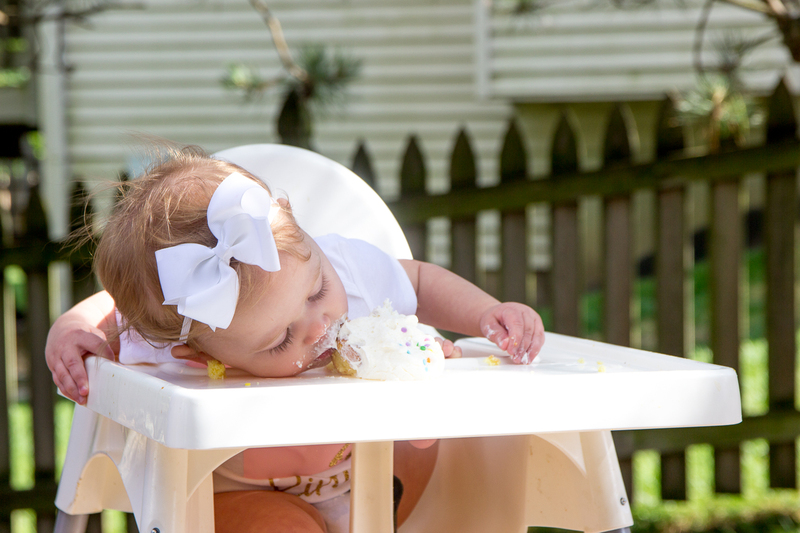 Glad Kinzie loved the cake. I can’t wait to see what Baby D will do with his first taste of sugar. Happy birthday to Kinzie and congratulations on baby’s first year! You are an amazing mama! Aw thank you Angela!! 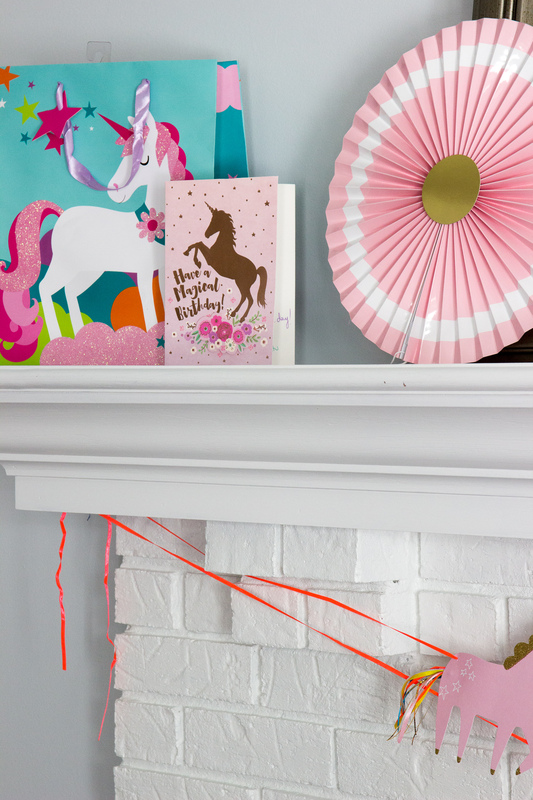 You have SO much inspiration for birthday parties and your compliment means a lot!!! I can’t wait to see what you have in store for Baby D’s big day!